We are engaged in offering PVC Tool Bags. Yellow-black Tool Bags, Size: 9"x12"x12"
Rivet reinforced at stress points. - Manufactured from heavy duty water repellant polyester with PVC backing. - Reinforced heavy duty base. - Nylon zip with framed openings. Sun Beam Distributor And Marketing Pvt. 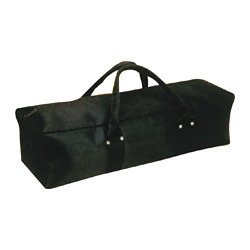 Ltd.
We are a top-notch organization, engaged in providing PVC Tool Bags. Our reputed entity is engaged in supplying PVC Tool Bags.